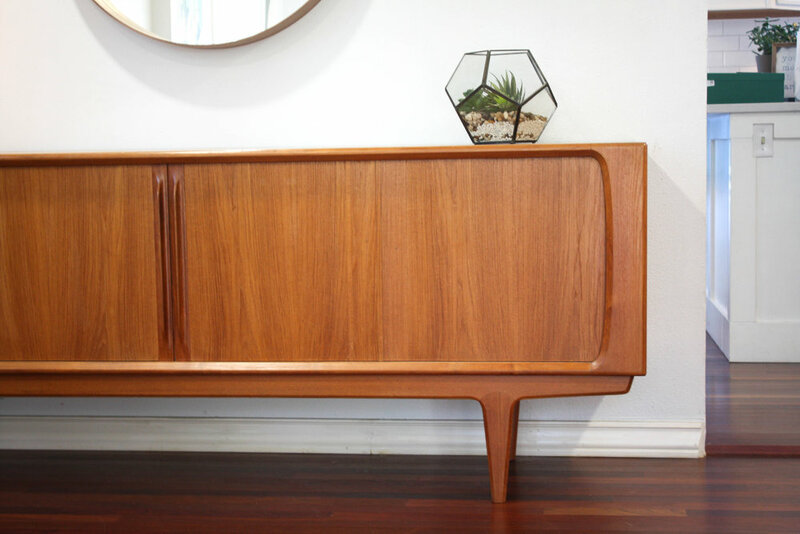 This piece has a fully finished backside which means it could act as a room divider and does not necessarily need to be placed against a wall. Interior features three slide out, dove-tailed drawers, 2 of which are felt lined. To the left is two shelves and on the right a single shelf allowing you plenty of storage options. Each shelf can be completely removed or adjusted up/down. Simple, clean, straight lines add elegance to its pure minimalist beauty. Sculpted teak handles on the door fronts. 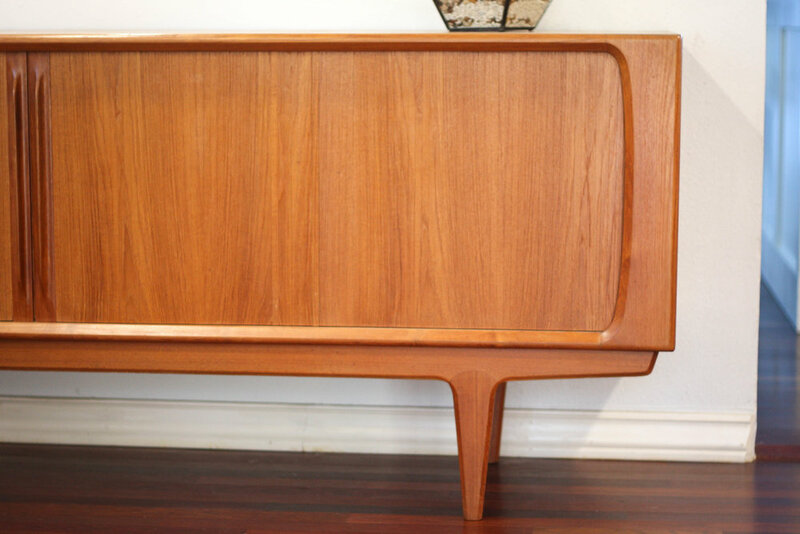 Would make a great media console under a flat screen HDTV. Original BPS M label in tact. 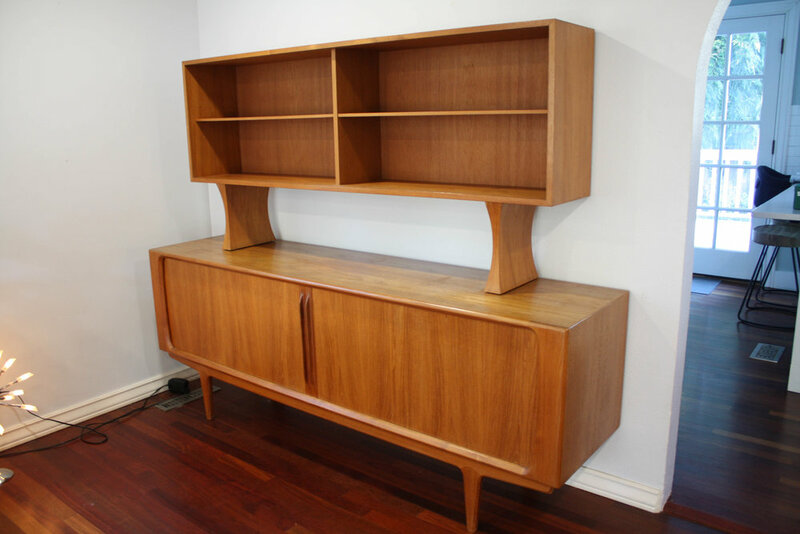 The hutch top has two adjustable shelves and retains the original glass sliding doors (not pictured due to glare). The feet can be removed if you do not want the floating look. Very good original vintage condition with common light signs of use. 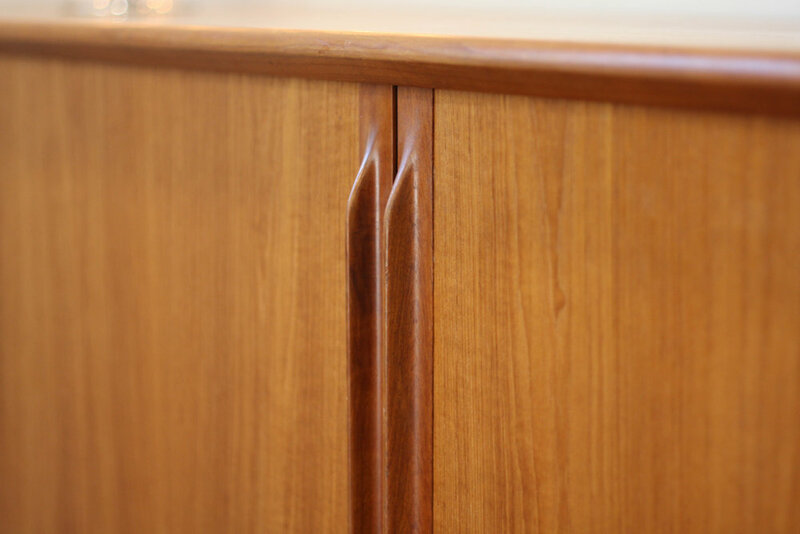 The feet of the hutch top have some chipping to the corners and there is a darker ring on top of the hutch where a decoration sat and blocked the natural sunlight from hitting the teak wood, this would naturally even out over time as the UV rays lighten the wood.